One glance is enough to sense, behind its pure, sophisticated outline, the full temperament of this avant-garde machine. The engine made from avional and chassis from titanium allow for a perfect balance between lightweight feel and rigidity. The flat and extra-wide sapphire crystal offers an optimal view of the timepiece’s superb mechanics. With a power reserve of 1,000 hours to push forth its full strength, the Prometheus is already a world champion. 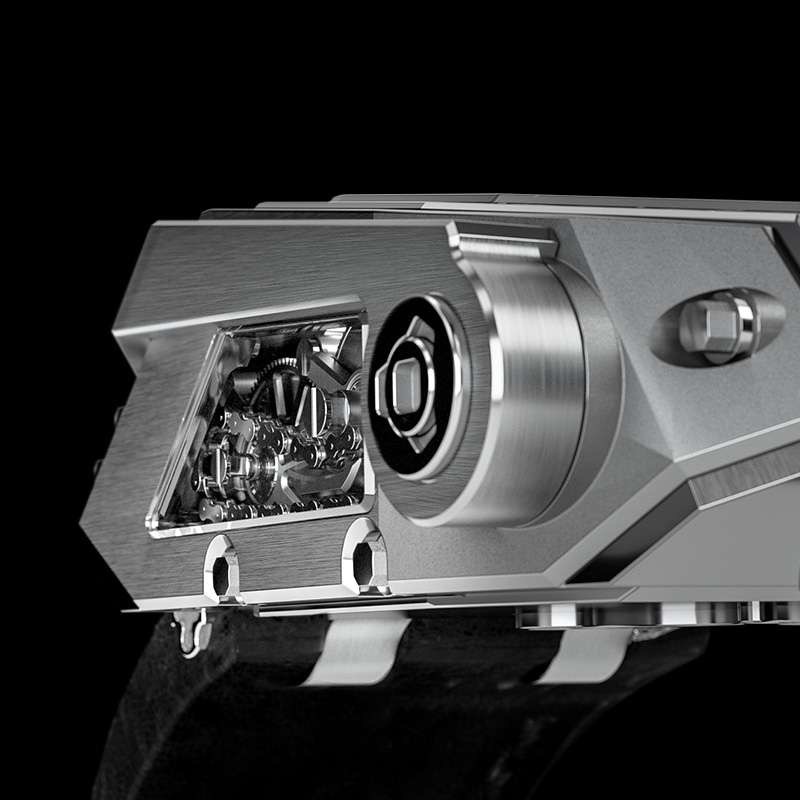 The Prometheus’ superb engine is made from avional, a high-performance aluminium used in aeronautics. 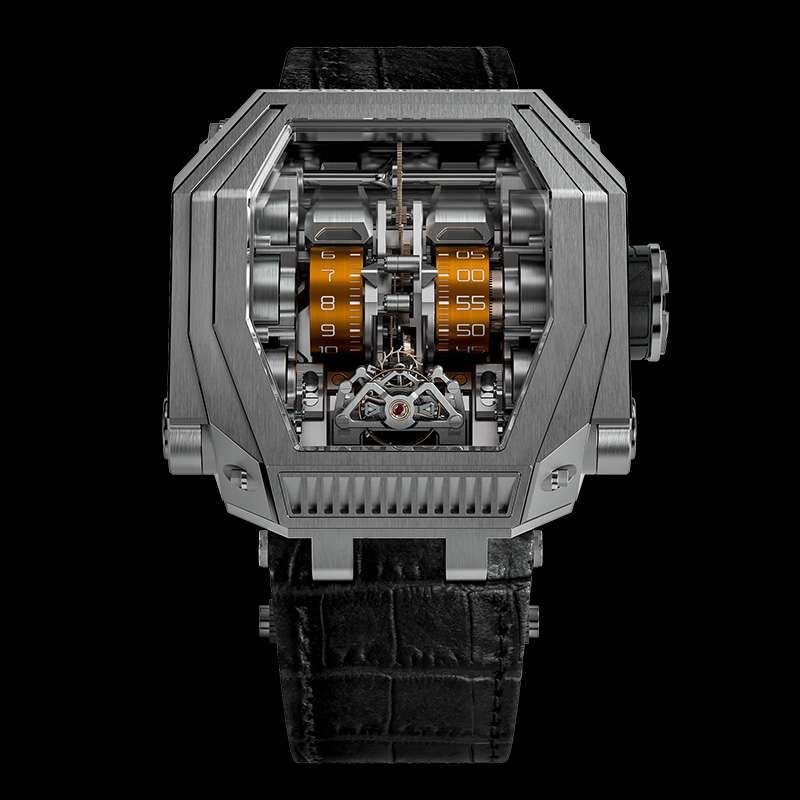 An original manufacture movement, so radically innovative that it required three years of research, development and adjustment. Exceptional with its rectangular and oversized silhouette. 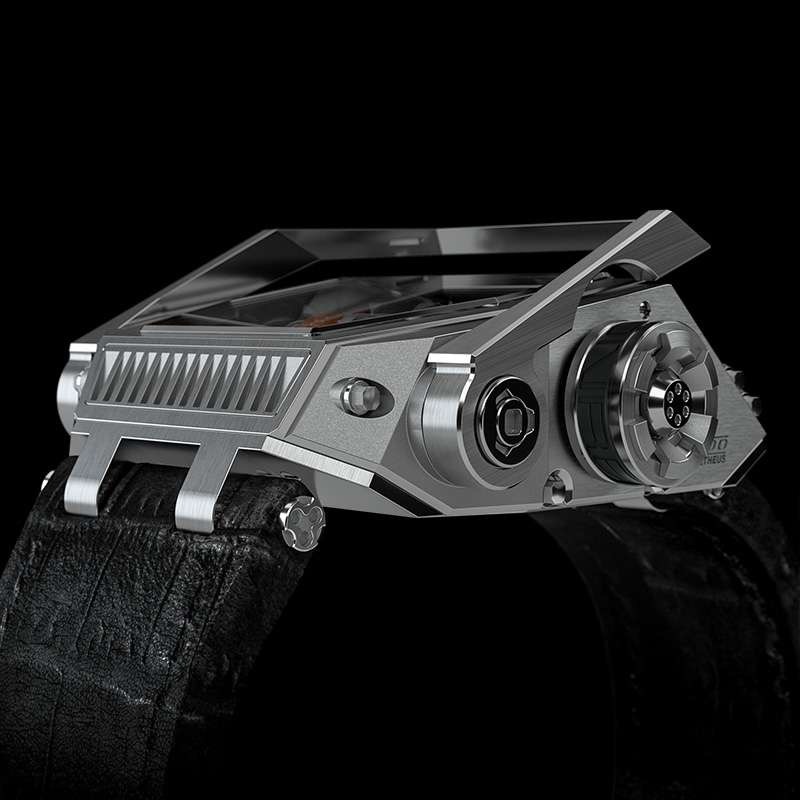 Exceptional with its design, completely deconstructing the conventional movement. Super lightweight, it exists in three dimensions, with vertical wheels and mechanical chain transmission. An absolute concentrate of innovation and performance. Available in orange, blue or green. Three colours to choose from for the case, fifteen for the engine parts: customise your Prometheus to make it unique.